Wow, RUN over to Amazon for a HOT deal on Honest Co. chlorine-free baby wipes! As low as $12.43 after coupon and 15% S&S, so just $1.55 a pack! 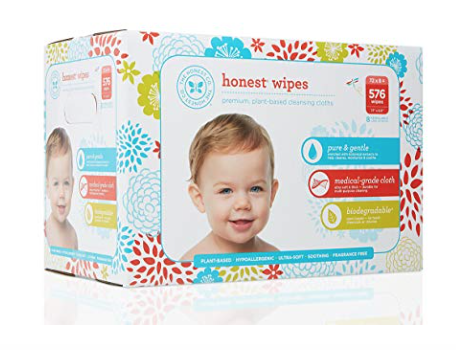 These wipes sell for $4.95 a pack on Honest’s site, so this is an amazing price! I love that their wipes are 99% water, plant-based and chlorine and fragrance free!